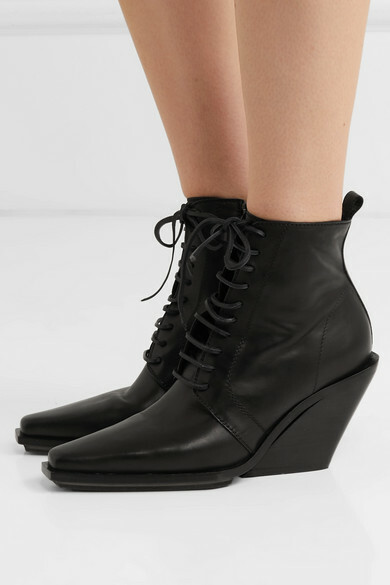 Ann Demeulemeester's angular boots are an edgier take on this season's Western trend. 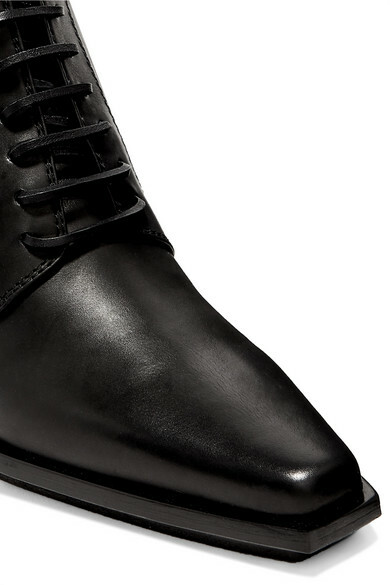 They've been made in Italy from smooth black leather and have elongated pointed toes which are squared off at the ends. Lace them up over tailored pants or keep them on show with bare legs. Shown here with: Alexander McQueen Dress, Alexander McQueen Shoulder bag, Loewe Belt, Sophie Buhai Earrings.